Compatible replacement Dyson DC15 brushroll for Dyson DC15 model vacuum cleaners. 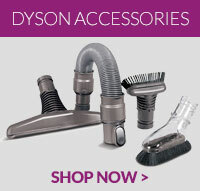 If your Dyson D..
A genuine part, this Dyson left end assembly is designed to fit with selected DC15 vacuum cleaner mo.. This switch is a genuine spare part that will fit your Dyson DC15 vacuum cleaner ..